The state and the nation’s furry forecasters – Buckeye Chuck and Punxsutawney Phil – both saw their shadows on Friday, predicting a longer than normal winter. With more snow, ice and cold temperatures expected, the Ohio Department of Aging reminds older Ohioans how to protect themselves from winter’s ill effects and reminds all Ohioans to check in on older neighbors and loved ones periodically. Falls are the leading cause of injury-related ER visits, hospitalizations and deaths for older Ohioans. However, falling is not a normal part of aging, and most falls can be prevented, even in an Ohio winter. Ask your doctor or physical therapist about indoor exercises to maintain strength and balance. Dress warmly, but avoid bulky coats, gloves and other clothing that can restrict movement. Wear boots and shoes that fit properly and have soles with good traction. Keep shoes, canes and walkers dry and free of snow, ice, dirt and mud. Keep sidewalks and stairs outside your home clean of ice, snow, mud and debris. Carry a small bag or shaker of rock salt, sand or kitty litter in your pocket or purse for traction on unexpectedly icy paths. Improve lighting around your home with extra lamps and night lights, especially around doorways and stairs. Visit the STEADY U Ohio website (www.steadyu.ohio.gov) for more falls prevention tips. Flu is a highly contagious respiratory disease caused by a virus. It can cause mild to severe illness and, in some cases, can lead to death. For many reasons, older adults are more likely than younger adults to experience the flu and its complications. There is still plenty of time to benefit from a flu shot, and plenty of vaccine available. Ask about special high-dose vaccines specifically for older adults. Here are more ways to safeguard yourself and loved ones from the flu. Avoid touching your eyes, nose or mouth with your hands. Avoid contact with people who may have the flu, as well as surfaces they may have touched. Get plenty of sleep, manage stress and be as physically active as is appropriate for you. Drink plenty of fluids and eat nutritional foods. Visit the Ohio Department of Health’s flu website (www.flu.ohio.gov) for information and resources to help you fight the flu. Before, during and after severe winter weather, check in on older loved ones, friends and neighbors to ensure that they have the resources they need to remain safe and healthy. Regular visits, even when the weather is nice, can help prevent feelings of isolation and depression, which can be common for older adults during the winter months. Here are some things to ask about when you visit. Your area agency on aging can help identify resources, such as energy assistance, chore service and minor home repairs that can help you stay warm and safe this winter. 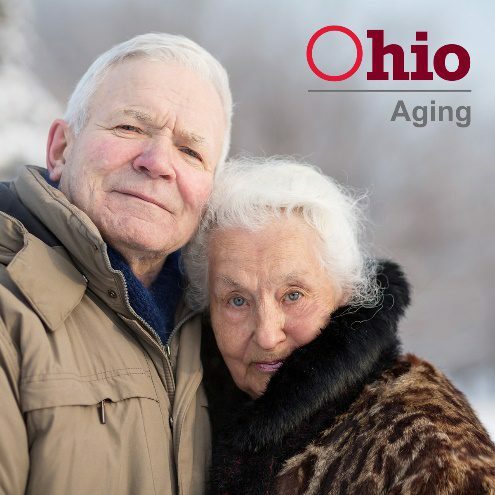 Visit the Ohio Department of Aging’s website (www.aging.ohio.gov) for contacts or call 1-866-243-5678 to be connected to the agency serving your community. Follow the Ohio Department of Aging on Facebook and Twitter for more winter safety information and resources all winter long.